Bring the Magic of the Balster’s to your next Event! The Balsters bring their magical artistry to the main stage with a flair. 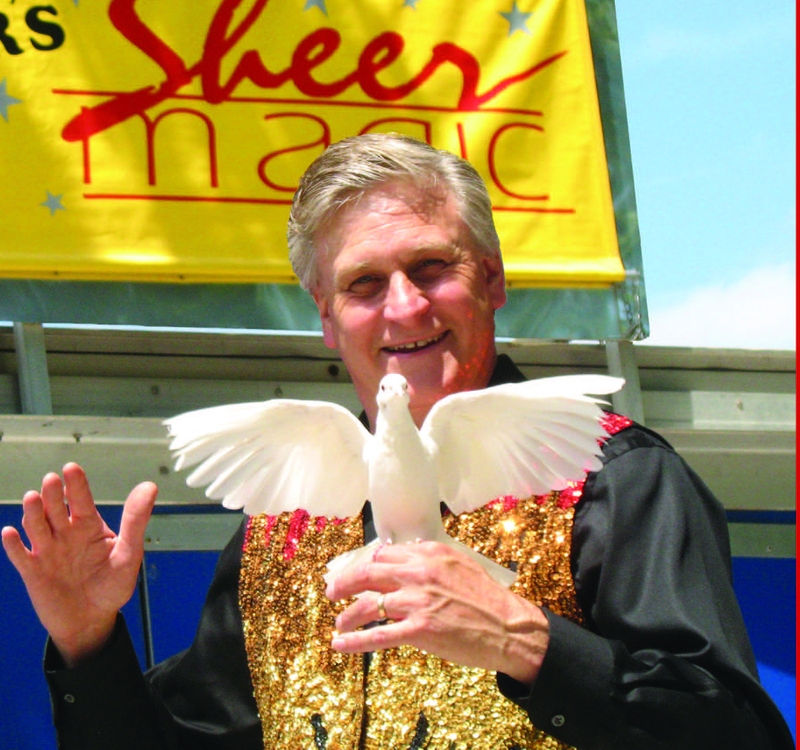 Sheer Magic draws upon a vast repertoire of material so it can be geared for an executive audience, a general audience, or a youth audience. Likewise, it can be tailored to fit in a small meeting or multipurpose room or scaled up to require a legitimate stage or theater. Our Sheer Magic show is perfect for any event including birthdays, corporate events, festivals & community events. This spectacular production is adaptable to meet your needs. The show can range from a 10 minute opening act with colorful silk scarves and doves to a 90 minute theater illusion show culminating in the production of a tiger. A typical production bursts into action with a 10 minute rapid fire opening routine performed to music and featuring very colorful visual magic with silk scarves, card manipulations and live doves. This dazzling routine transcends all age and language barriers and leaves the audience spellbound. As the show shifts into talking routines, audience members find themselves in hilarious situations as they are called on-stage to help create the magic. Things really get exciting as the show concludes with one or more large scale illusions such as Cutting a woman in half, The broom suspension , Metamorphosis, or the Twister just to name a few. They can even make someone disappear! Though a more frequent request that they handle with ease is to make a CEO or VIP appear magically as a very dramatic and effective entrance. 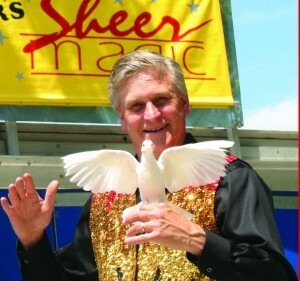 Productions of SHEER MAGIC feature an awesome display of magic, illusion, audience participation and comedy, skillfully woven together with music, special effects and dance, to create an incredible performance experience. An experience that will sweep any audience into a world of wonder! 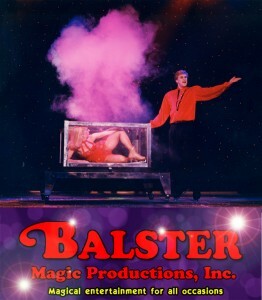 Call Tim to reserve The Balster’s at your next event (630) 258-8442!